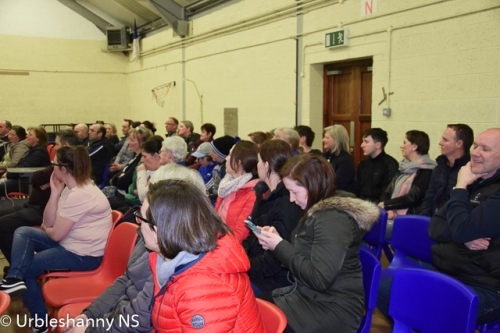 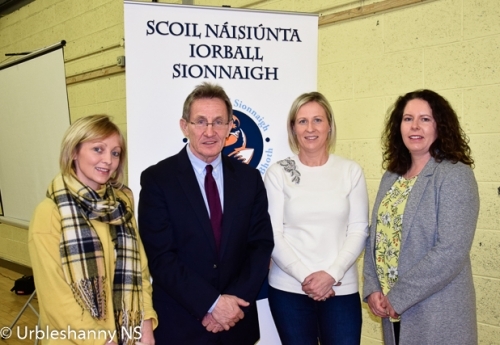 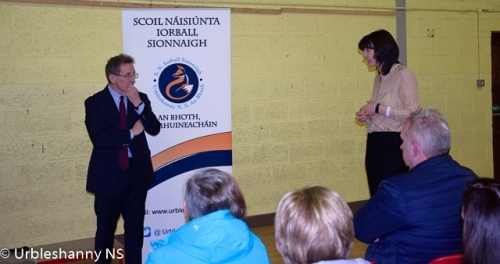 On Wednesday evening, the 27th of March, Urbleshanny NS Parents Association hosted a lecture for the parents of the three schools in Tydavnet parish delivered by Professor Niall Moyna, native of Scotstown and past pupil of Urbleshanny NS. Niall is a Professor in the School of Health and Human Performance and a member of the Centre for Preventive Medicine in DCU. He has published over 90 research papers in international peer reviewed journals and presented his work at international conferences. Niall is concerned that "we still don’t understand the importance of fitness for children’s long-term brain health and academic performance. 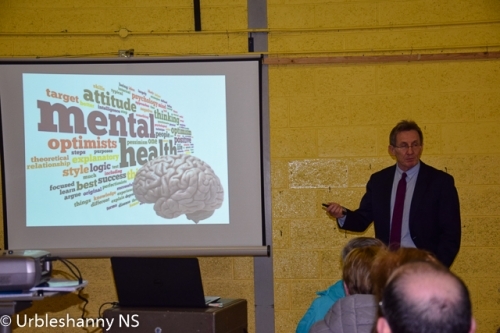 There are several international studies which show that exercise reduces stress levels, improves concentration and positively impacts academic performance." 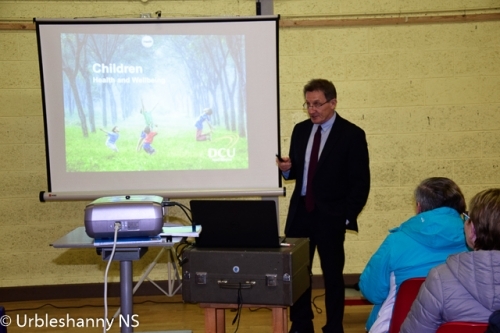 He couldn't stress enough about the 'wonder-drug' available to all children and that parents need to appreciate the strong link between childhood fitness and physical and mental health. 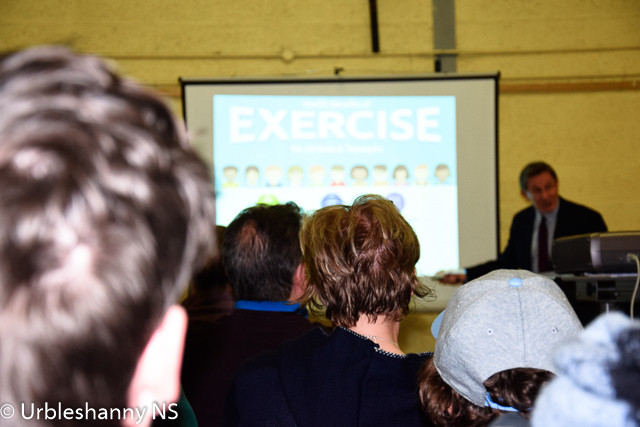 "Exercise should be viewed as medicine. Indeed, if exercise could be prescribed as a pill, it would be the most prescribed drug on the planet, and many parents who write excuse notes for PE are denying their children access to this ‘wonder-drug’." 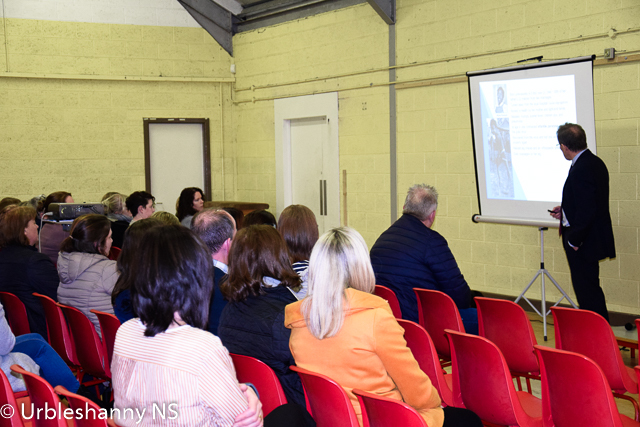 His talk was informative and inspirational and much appreciated by all who attended. 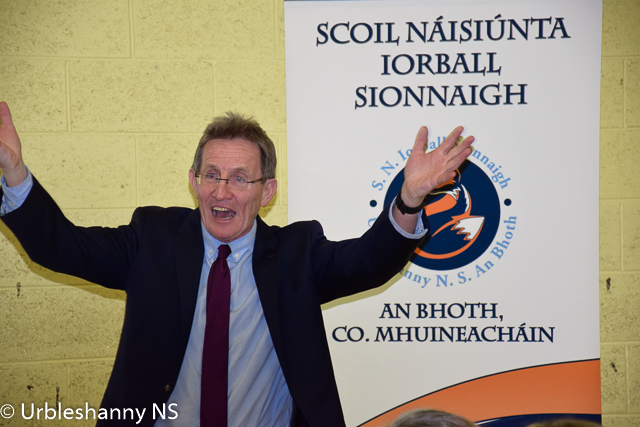 Many thanks to Professor Niall Moyna on delivering a charged and passionate talk on how preventive measures are key to a healthy future. 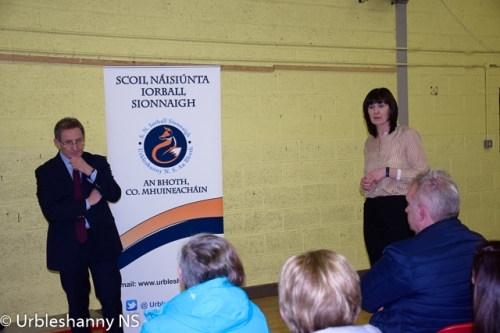 Thanks also to the Urbleshanny Parents Association who facilitated the talk on the night.